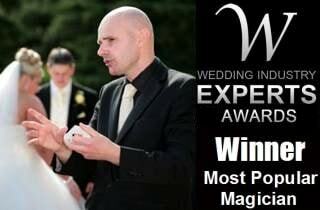 David Fox frequently performs his special brand of magic at many of the most prestigious wedding venues in Derby. A party is an ideal time for magic. 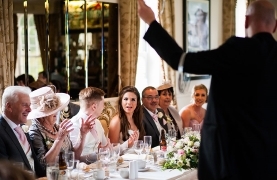 David can entertain your guests in the comfort of your home or at any venue in Derby. Magic will add flair to any corporate event. David frequently impresses at business functions in Derbyshire. Are you seeking a sensational magician, illusionist and sleight-of-hand artiste in Derbyshire? 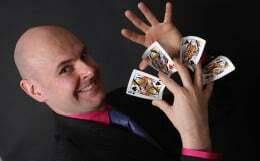 Derbyshire's finest magic man David Fox is ideal for your next special event. Watch in amazement as your guests are stunned by incredible feats of magic, mind-reading, mystery and illusion. David Fox often performs at Makeney Hall Hotel, Breadsall Priory and Morley Hayes Hotel.